Looking to learn more about stone walls? Check out some of the resources collected here. Historian Jennifer Robinson compiled an informative history of the development of stone walls and barns on Aquidneck Island. The report can be downloaded here. Gloria Schmidt is a local historian who produced this illustrated text on the history of stone walls in Portsmouth, Rhode Island. In addition to this book, Gloria writes a blog featuring interesting information about Portsmouth’s history, including agricultural, architectural, and cultural details with accompanying photos. Her blog can be read here. Throughout New England, stone walls line the countryside and contribute to the region’s unique sense of place. Nowhere else in the United States are stone walls as prevalent and historic as they are in New England. 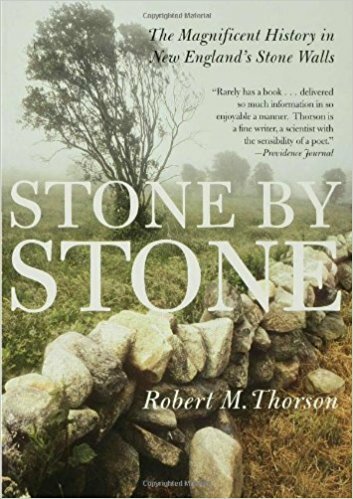 Dubbed the “Stone Wall Defender” by Jim Collins of Yankee Magazine in 2009, Robert Thorson is the leading expert on New England’s stone wall history and geology. Thorson teaches at the University of Connecticut. He has written numerous books on the subject and lectures widely. Thorson also directs the Stone Wall Initiative: a free, digital database intended to ‘enhance rural New England’s sense of place by focusing public attention on its iconic signature landform, the historic fieldstone wall.’ The Stone Wall Initiative was founded in 2002. It remains the definitive resource on New England stone walls. 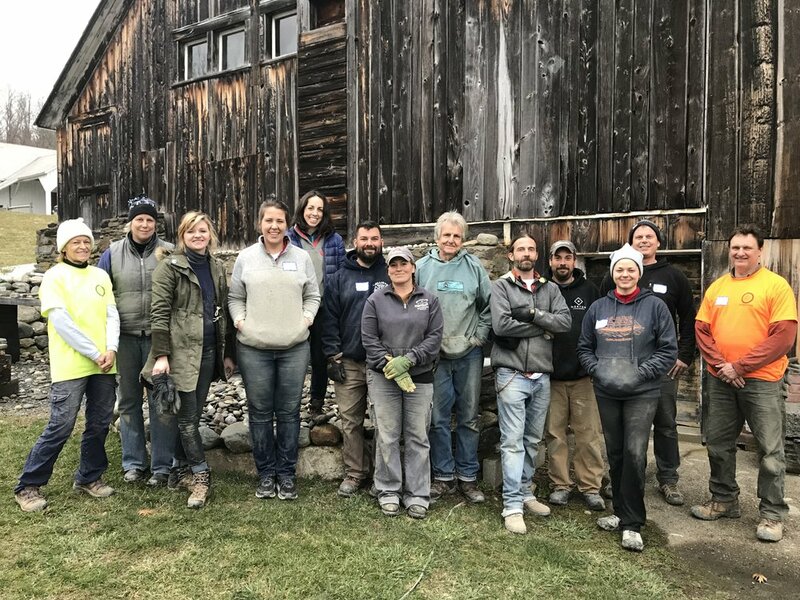 The Stone Trust is based in Dummerston, Vermont, where they offer workshops and educational programs as well as training and certification in accordance with the Dry Stone Walling Association (DSWA). The Stone Trust is a not-for-profit organization that provides education, training, and consulting services. The Trust advocates for the preservation of existing dry stone walls and promotes using the correct structural standards for the construction and restoration of dry stone walls. It is the only organization in the United States exclusively dedicated to preserving and advancing the craft of dry stone walling. The Dry Stone Conservancy was established in 1996 to train masons in the dry stone masonry and rebuild three miles of stone walls impacted by a road-widening project. Today, The Conservancy is a nationally recognized expert in dry stone masonry. It continues to promote the craft of dry stone masonry through training, workshops, and the preservation of dry-laid stone structures. The Conservancy is based in Lexington, Kentucky and has worked on projects with the National Park Service in 20 states and as a consultant in 35 states.